The Vegan Grindhouse present Kings Heath Vegan Market: Sunday 21st May. If you love street food and don’t eat meat then this is music to those meat free bones. On Sunday 21st The Vegan Grindhouse presents a Kings Heath Vegan Market is a showcase of great food and entertainment washed down by delicious vegan friendly beer from Twisted Barrel Ales. On offer will be Street Food from The Vegan Grindhouse, Bare bones Pizza, Pietanic, Mex it up and Michaels Caribbean. Plus cold food from Vork Pie, Vegetropolis and Rachel’s cake delights. 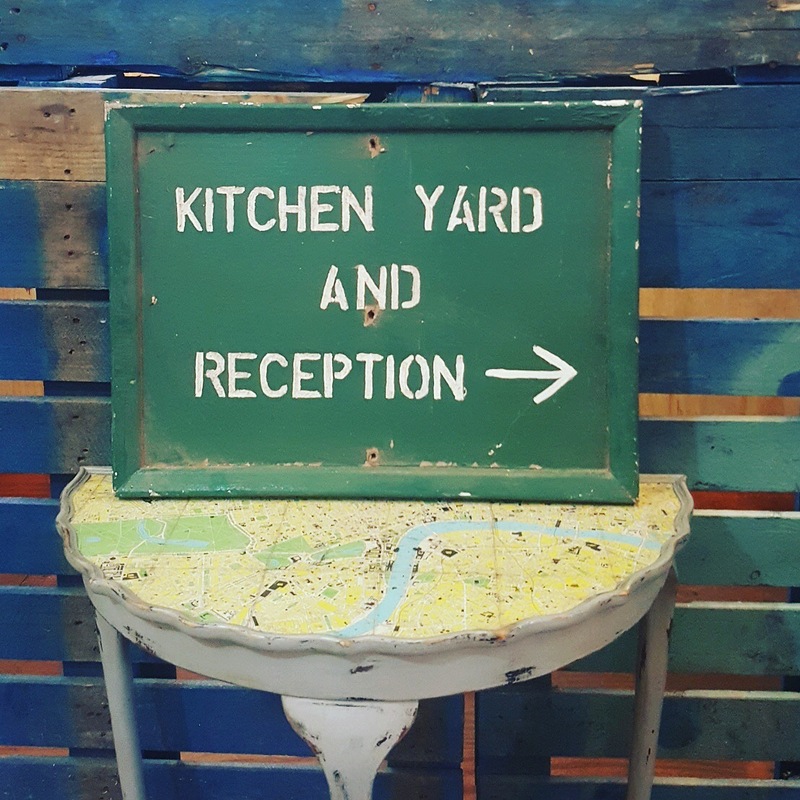 As a bonus it will include The Kitchen Garden Art Market showcasing work by local artists. Plus local bands curated by The Kitchen Garden. All proceeds go to Grace’s Rest an animal rescue and educational service. A fantastic feast of Vegan food which is I hope will be rewarded by some tempting outdoor warm weather. From 12-5 on Sunday 21st May Kings Heath is the place to be. This Sunday, 21st May 2017, Birmingham serves up an all-vegan street food market at Kings Heath Village Square. Kings Heath Vegan Market, the only 100% vegan street food event in the region, will feature dishes freshly cooked by leading street food chefs, showcasing entirely vegan menus from around the world. 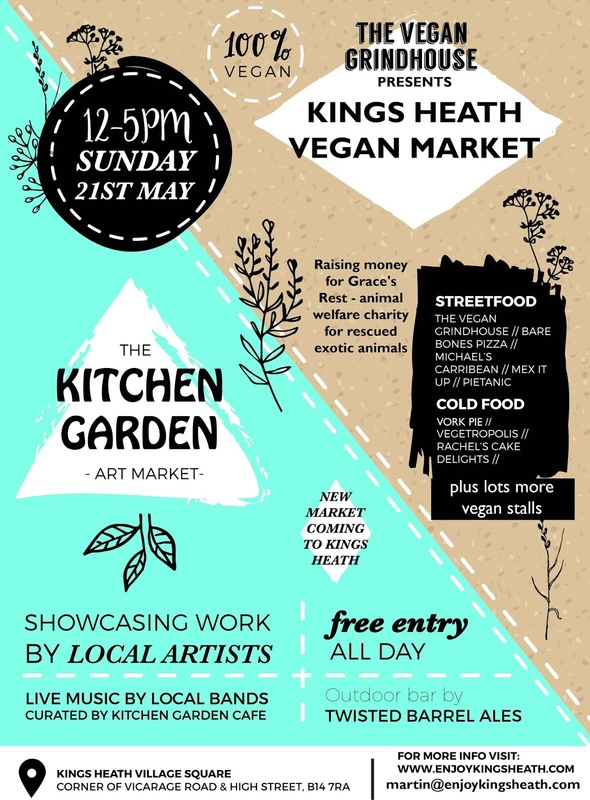 Kings Heath BID and Kitchen Garden Cafe are collaborating with leading Midlands street food company, The Vegan Grindhouse to host the event on Sunday 21st May, from 12-5pm, Kings Heath Village Square, All Saints Centre, 2 Vicarage Road, Birmingham B14 7RA. 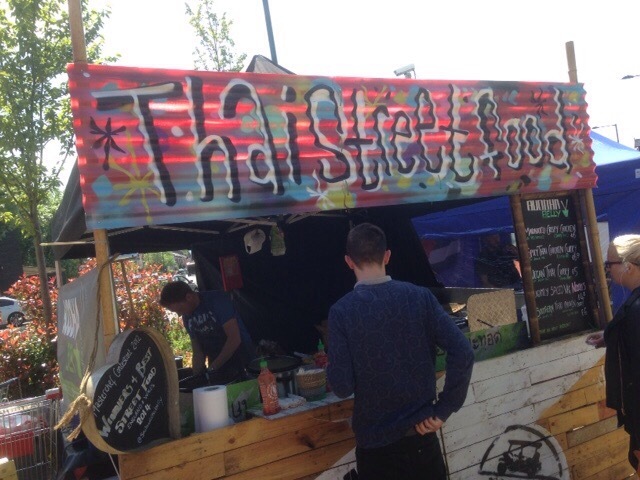 The street food lineup includes The Vegan Grindhouse with vegan handmade burgers and jumbo hotdogs; Mex It Up; Bare Bones Pizza, plus Caribbean, pie & mash and raw vegan desserts. 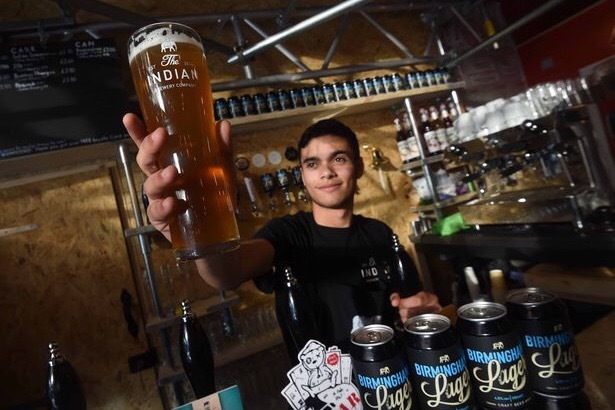 As well as all the street food, local all-vegan brewery Twisted Barrel Ales are bringing the vegan beers, and there will be stall with organic fruit and vegetables from Vegetropolis, animal-friendly clothing and cosmetics, a fermented drinks bar from The Happy Gut Hut, and a range of vegan and gluten-free cakes and desserts. The event is supporting Grace’s Rest, a not-for-profit organisation that rescues, rehabilitates and re-homes animals in crisis. So get down to Kings Heath Village Square on Sunday 21st May for a day of plant-based family fun at Kings Heath Vegan Market. For up to date information in the run up to the event and for the full street food lineups follow @vegangrindhouse on Facebook, Twitter and Instagram. My blog Veggie Foodie has been shortlisted for a Midland Food, Drink and Hospitality award (Best Food and drinks blogger) You can vote for me via this link. Scroll down for blogger shortlist. There’s also an opportunity via the same link to vote for the best veggie/Vegan restaurant. 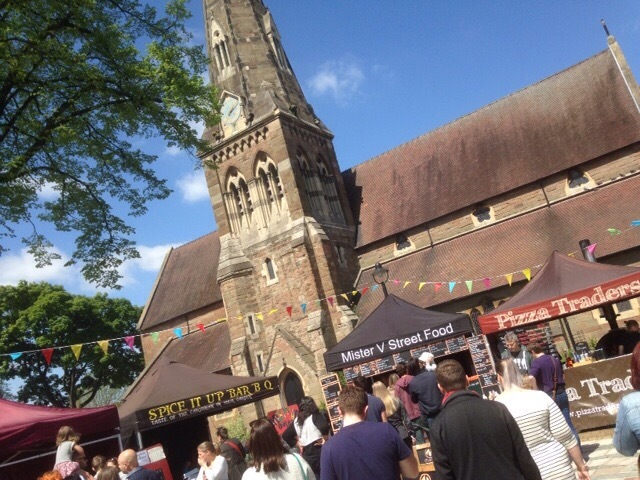 Monthly Kings Heath Street Food market returns on Saturday 8th April. 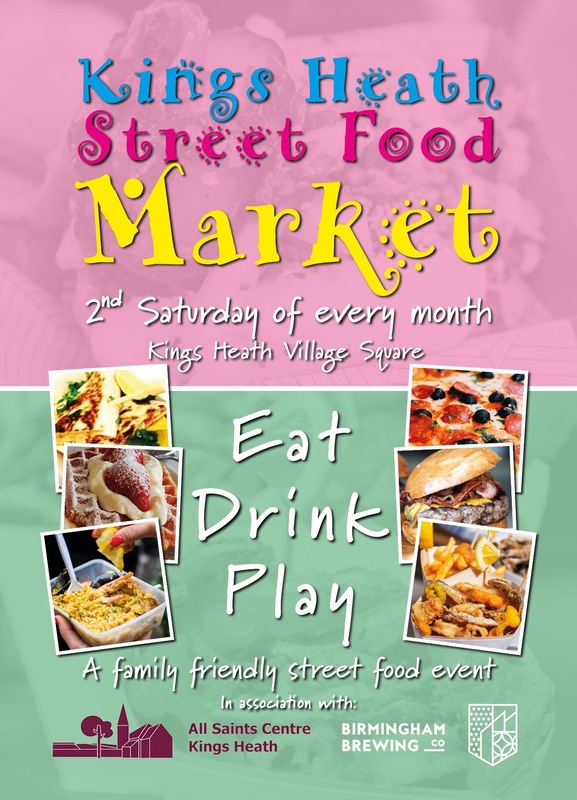 The Kings Heath Street Food Market officially launches on April 8th, in Kings Heath Village Square and will have a host of beauties for Veggies and Vegan foodies. 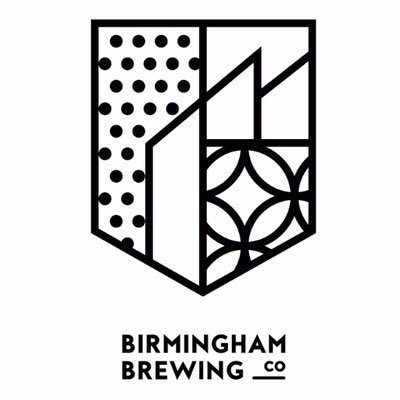 The Kings Heath Street Food market is officially sponsored by Birmingham Brewing Company. 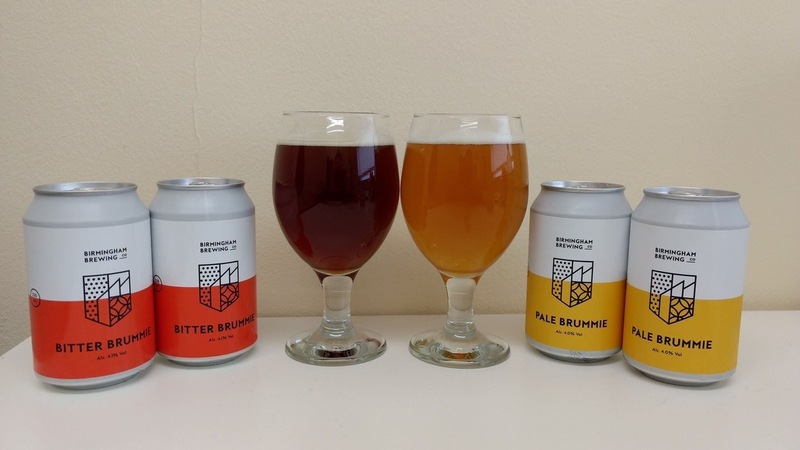 A brand new micro Brewery located in Stirchley, all beers are Vegan friendly. They will provide a fully stocked and licensed bar at the street food market. 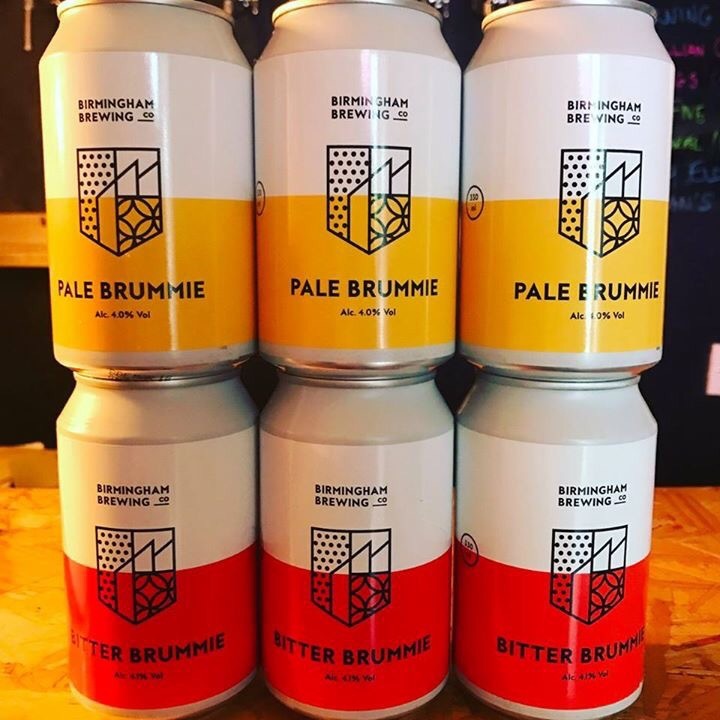 The Brewery recently launched their Pale Brummie and Bitter Brummie Ales both on offer on the day. 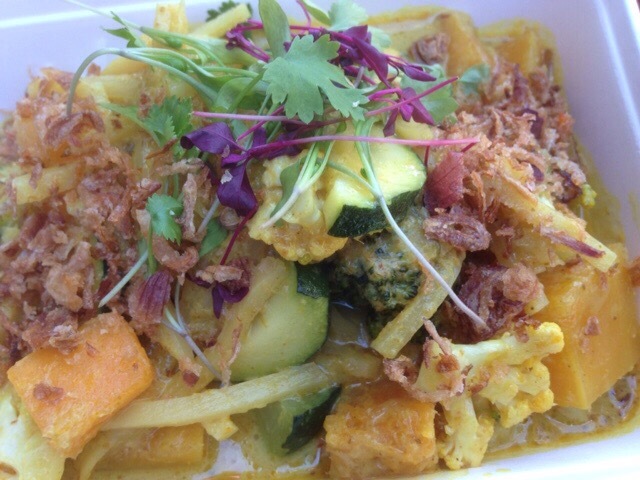 Food will come from Veggie Foodie favourites Buddha Belly, with their delicious Vegan friendly Thai Yellow Curry and Jasmine Rice, plus Lightly spiced vegetable noodles, and Baked in Brick which serves pizza and flat breads from a converted mini. 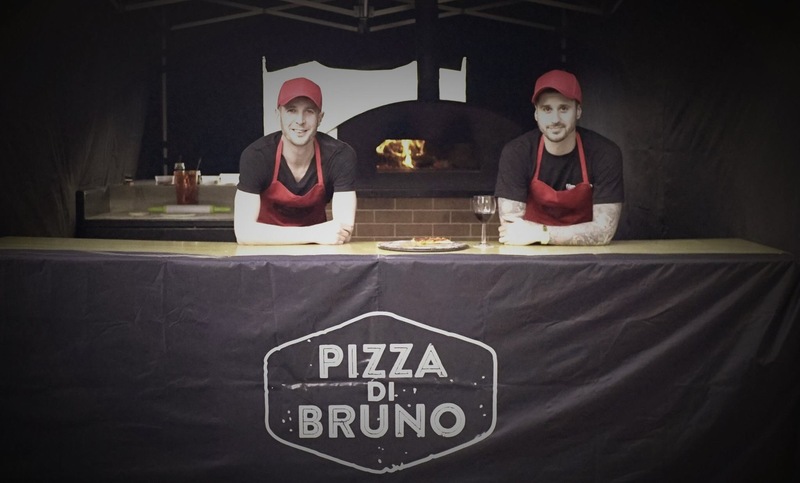 They were Named Best of the best at the recent British Street Food Awards. 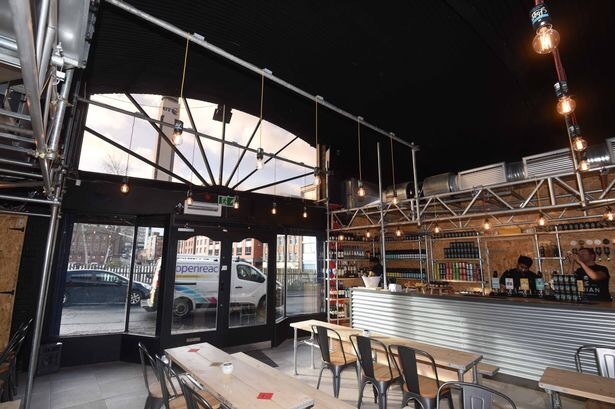 Dishes from Baked in Brick include: Veggie friendly Margherita pizza, cheesy garlic bread and goats cheese pizza, but no Vegan option it appears. 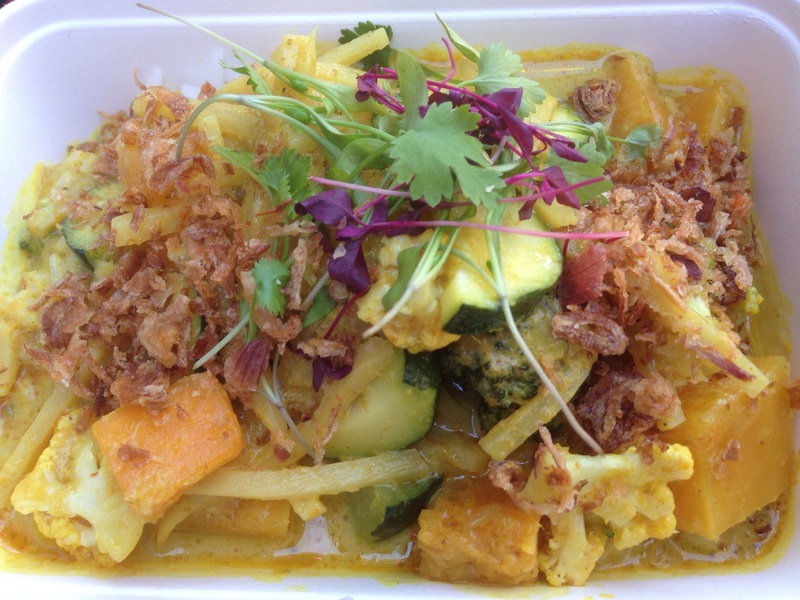 Buddha Belly deservedly won the people’s choice award at the British Street Food awards. The Middle Feast, Street Chef and Hungry Penguin and Libertine. The Middle Feast will have a veggie burnt aubergine and halloumi kebab and Vegan friendly burnt aubergine kibbeh. All served in a flat bread or gluten free wrap with fresh salad, hot harrisa, applewood smoked yogurt and honeyed nuts and seeds. Street chef will have veggie friendly Halloumi fries, handmade mushroom Cajan ketchup and chia seed salad and sweet potato and spinach quesadillas. Libertine will have just salted and cheesy fries. The salted verb vegan friendly also. Hungry Penguin will have a selection of crepes with selected toppings. Freshly made crepes with a selection of toppings. The food market replaces KingshEATh from Brum Yum Yum which had run for three years up to last summer. The market has now been taken over and run by the All Saints Community Development company who manage the village square. Looks a fabulous community event with excellent Vegetarian options. 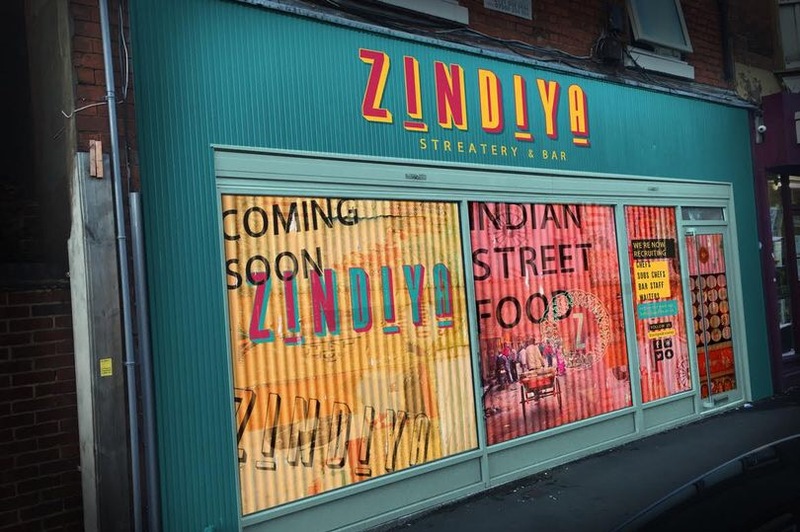 New Indian Streetfood restaurant Zindiya set to bring colour to Moseley. 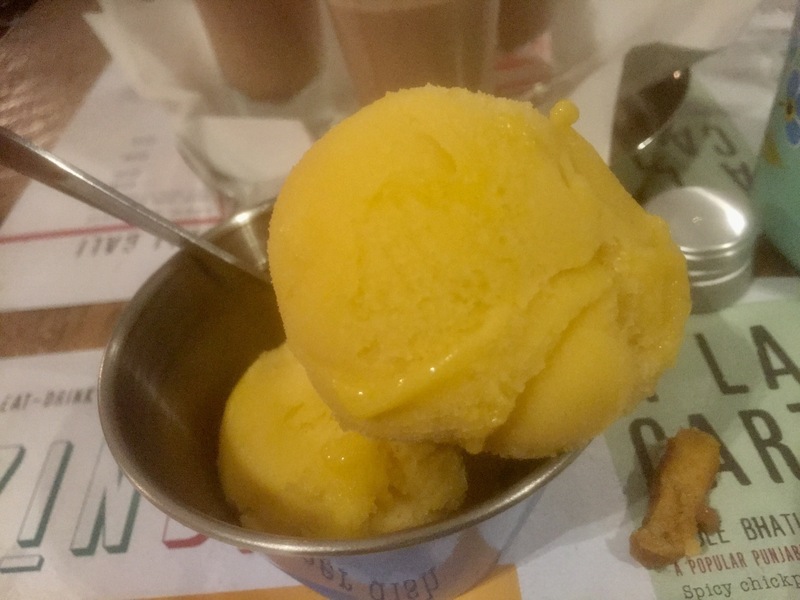 There have been a lot of false dawns with restaurant openings recently. The hype doesn’t always result in a place been good for repeat visits. For Vegetarians disappointment when the menu is presented to you, a lack of choice, a lack of thought. 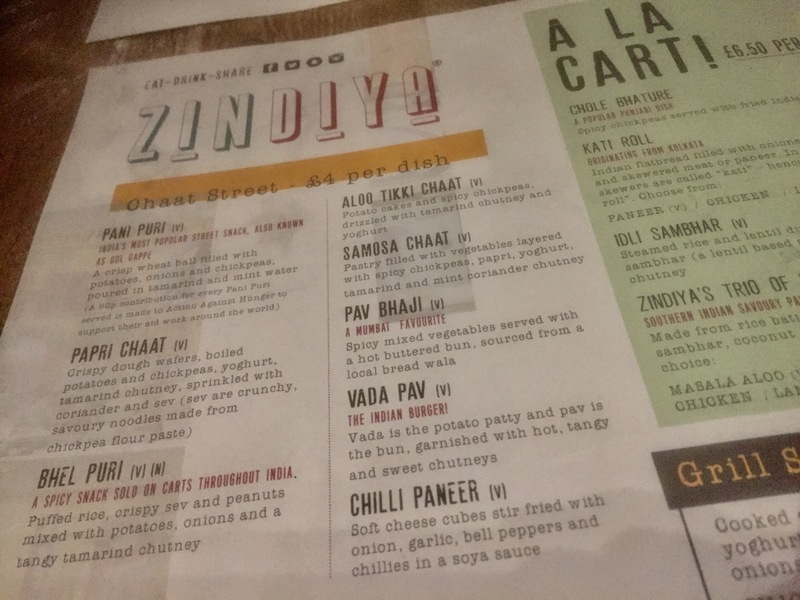 I can safely predict that Zindiya doesn’t fall into that category looking at the menu which is on first glance predominantly veggie. 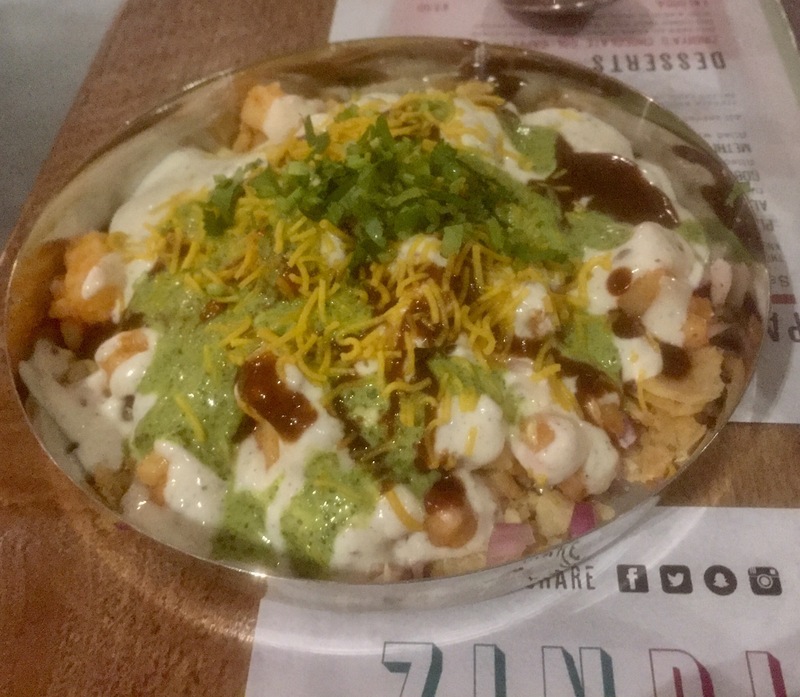 Zindiya, a new Indian Street food eatery and cocktail bar opened on the 7th February in Moseley, Birmingham in a building that has been empty for 10 years. Some of you may remember Lukers the bakery. Others won’t, well it was 10 years ago! Remembering last week is hard enough. 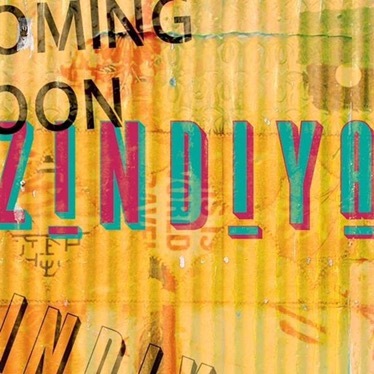 But, you’ll remember Zindiya. Well that’s the plan from owners Ajay and Shivani Kenth. 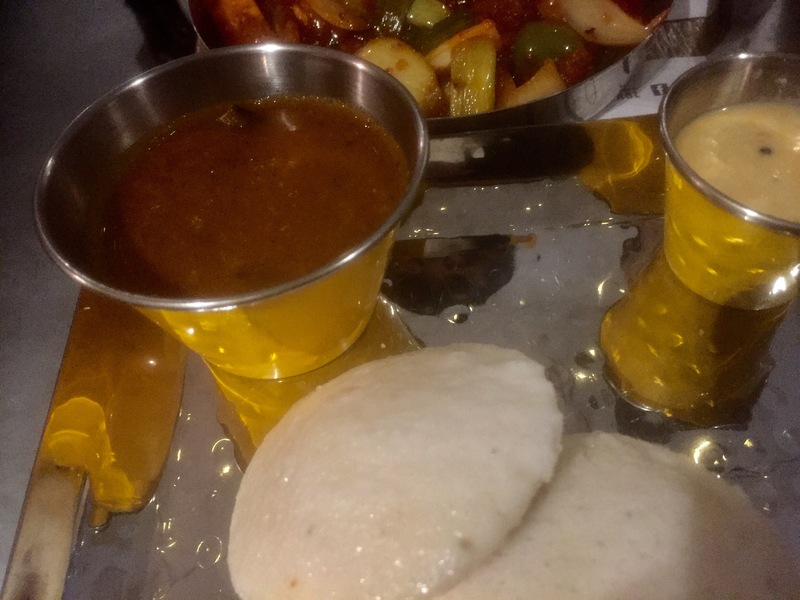 Moseley born and bred, and back to rock the village with little plated curry stuff. Hurray! Derived from the Indian name for life and the name of the owners daughter ‘Diya’. Seating 90 people it’s decor is colourful bustling, Indian street food market. Across the road, is one of the best. 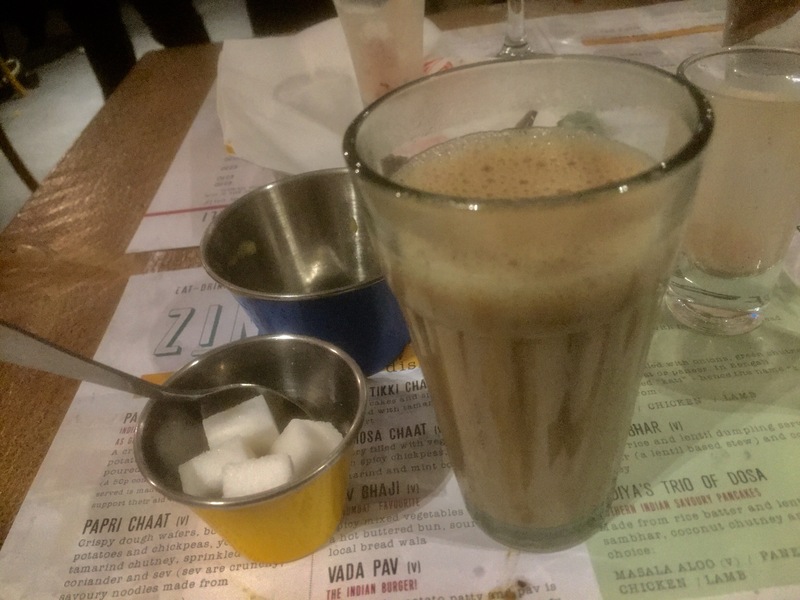 Kababish a Moseley icon is different so don’t go to Zindiya expecting the same. 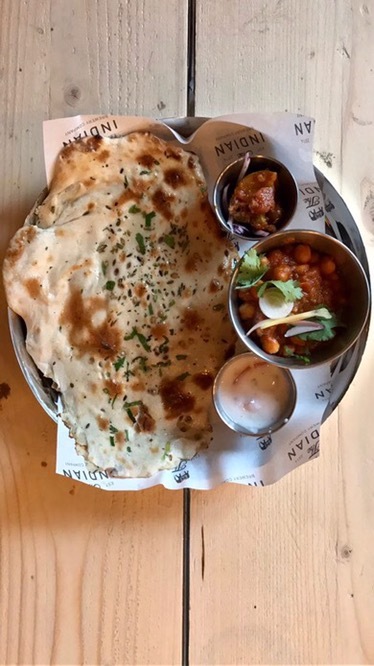 This is Street Food, tapas like sharing plates and dosas, flatbreads and more sharing dishes than a family picnic in the summer. It’s the Cocktails that are on the tips of people’s tongues though. Created by Rob Wood the man behind so many great cocktails in the city they borrow influences from all over India and can be paired with food, which I’m hoping to be convinced is ok. Purity Beers are providing the beers for those that prefer. Lawless lager and Longhorn IPA is the name of the game. Plus delectable bakes from Miss Macaroon and wines from city centre based Connolys. 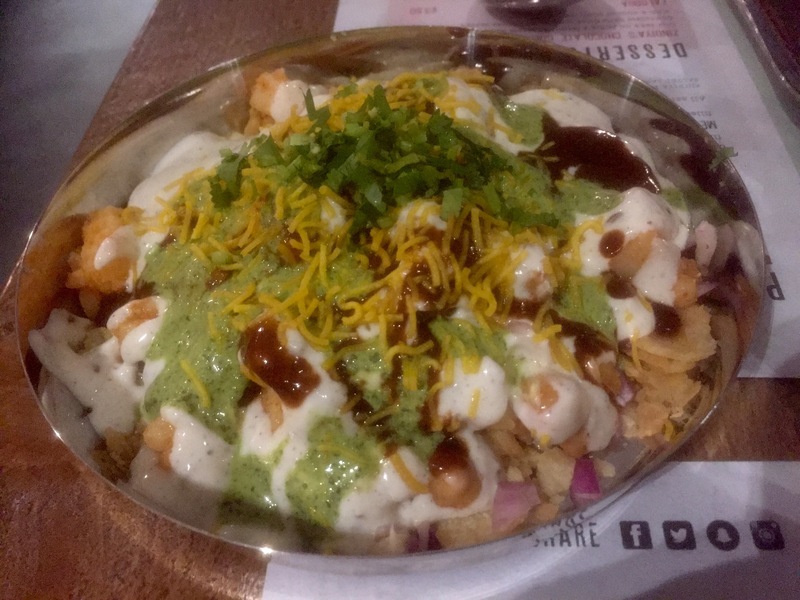 Also Birmingham Lager from Indian Brewery Co.
Chilli cheese toast (Mumbai cheese and toast) okra fries, Mogo Chips, onion bhajis, Masala chips. 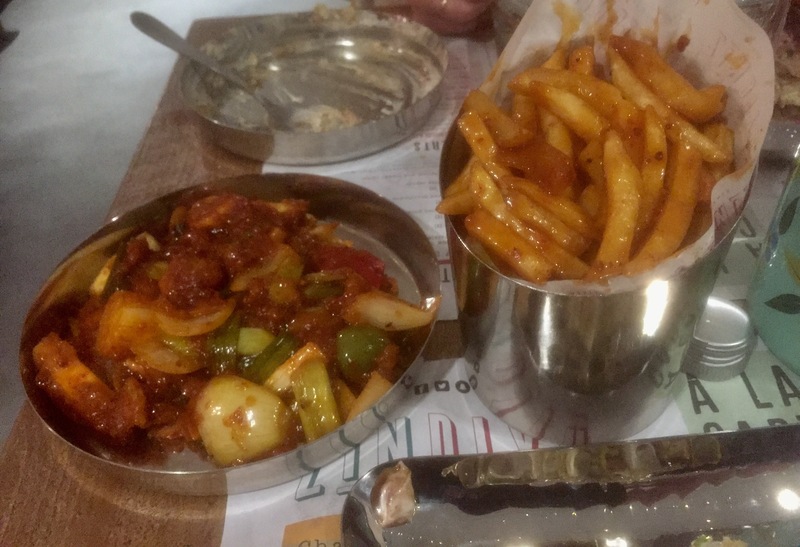 Grill Street: £7 cooked over charcoal. 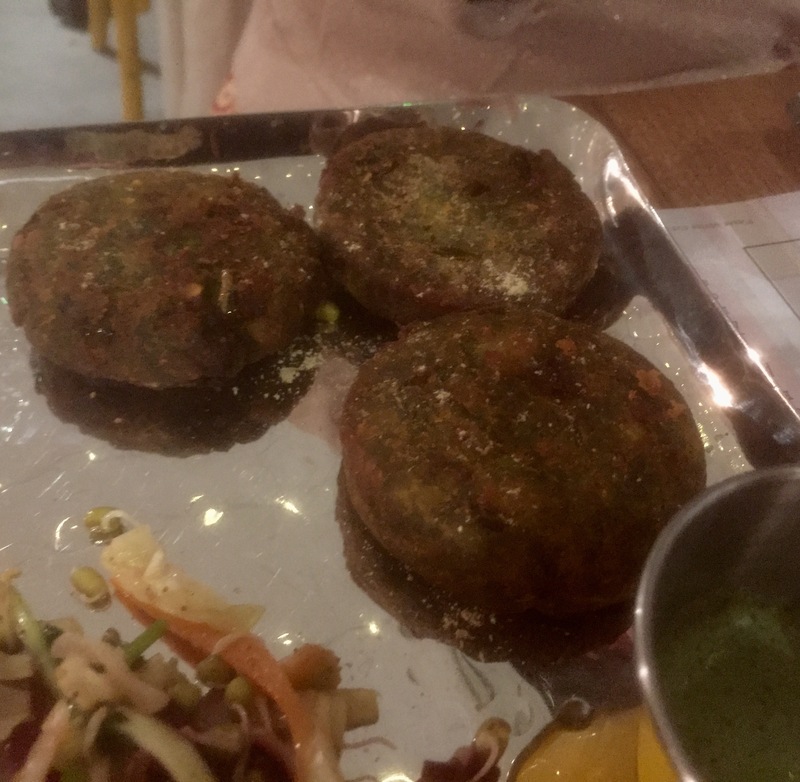 Hara Bhara Kabab(served with yoghurt dip and salad. 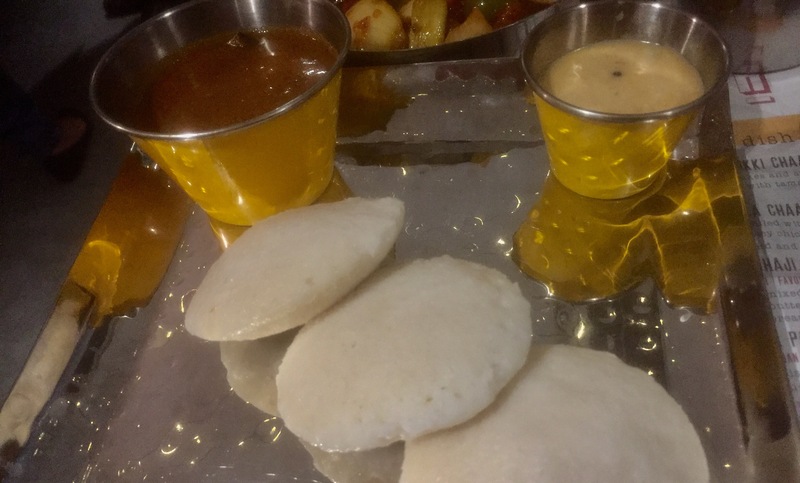 Paranthe Wali Gali: Flatbread. 12-4 Saturday and Sunday only. 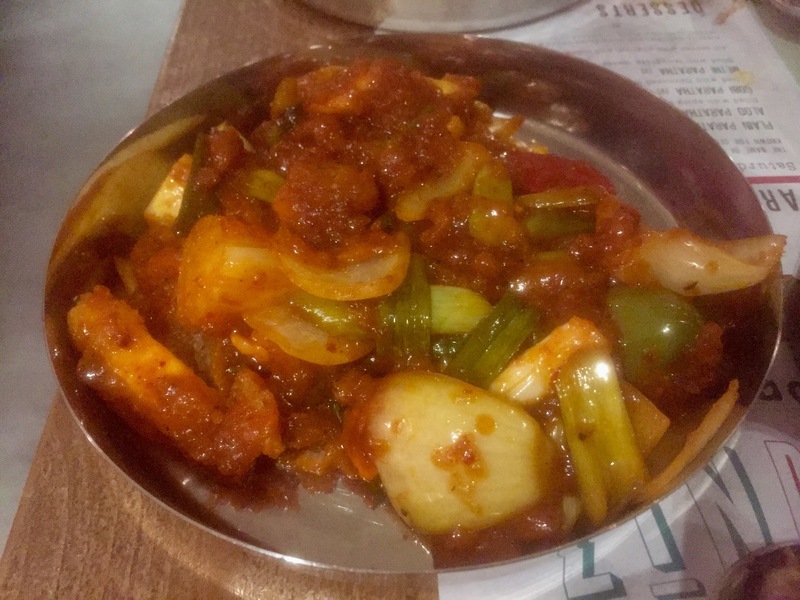 Aloo Paratra: potatoes and onions. 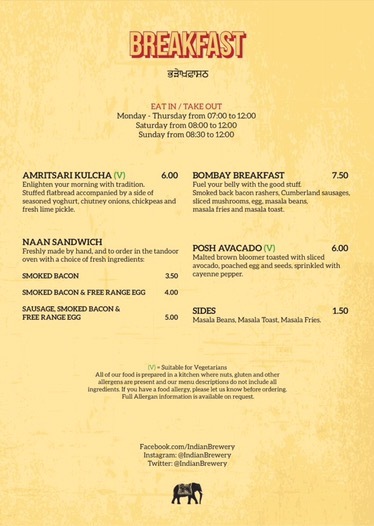 With so many Vegetarian options Zindiya goes straight to the top of the must visit list (for vegans check beforehand). Also available will be An Afternoon tea which includes sandwiches, Pakoras, Cardamon scones and chai infused prosecco. 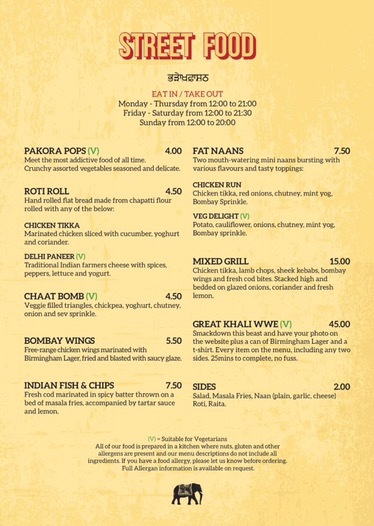 For the best in good value eat-drink-share It’s sure to do well and bring a spot of Indian colour to Moseley. 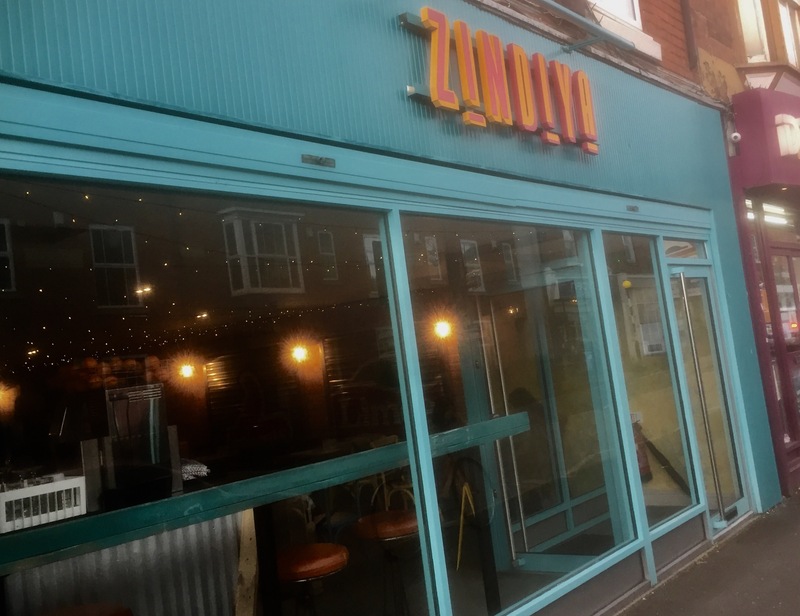 Zindiya is at 21 Woodbridge Road, Moseley, Birmingham. B13. 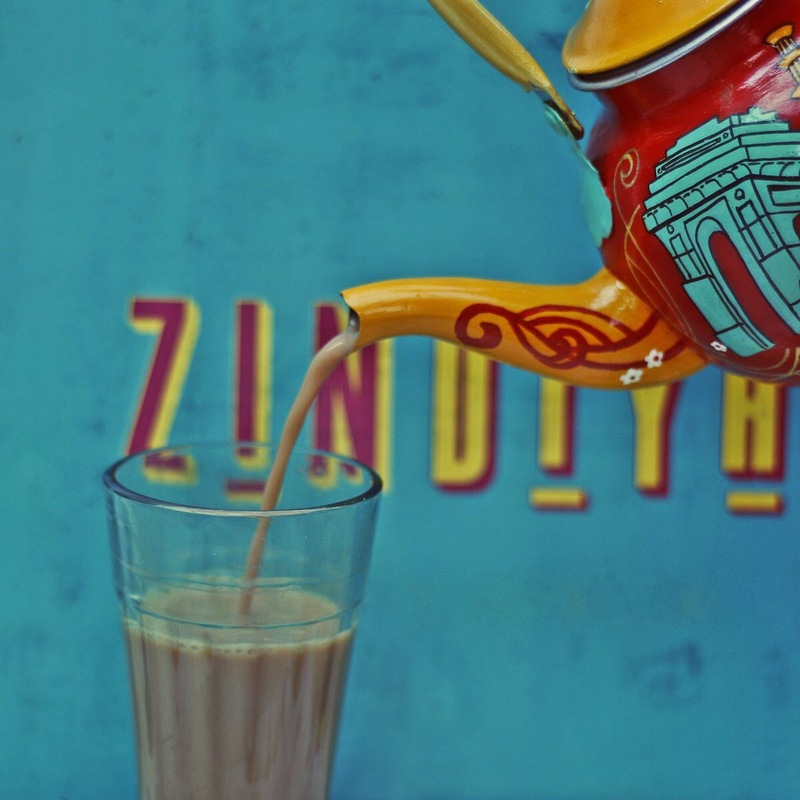 0121-439-0953 Or hello@zindiya.co.uk for bookings. See the above link for full menu. 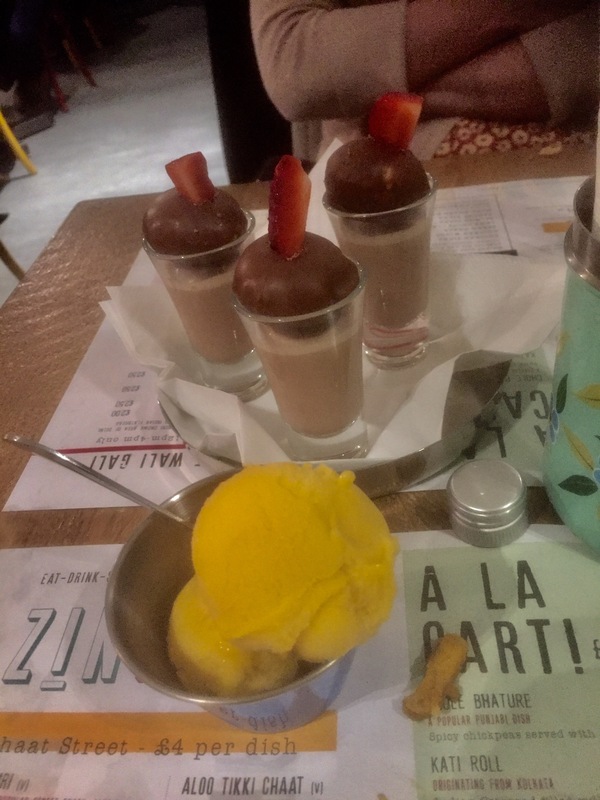 All photos courtesy of Zindiya. New venue from Taste of Liquer and No’ 21 Milk Street. 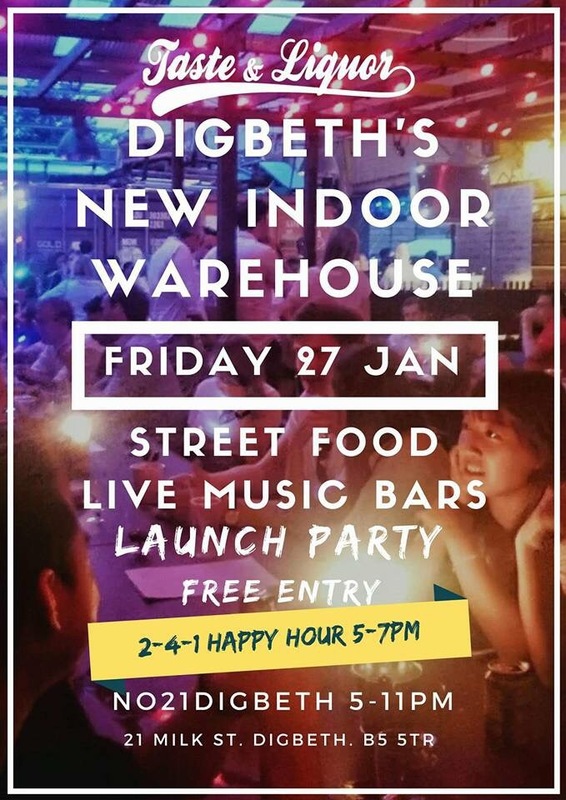 No21 Digbeth launch Friday 27th January. 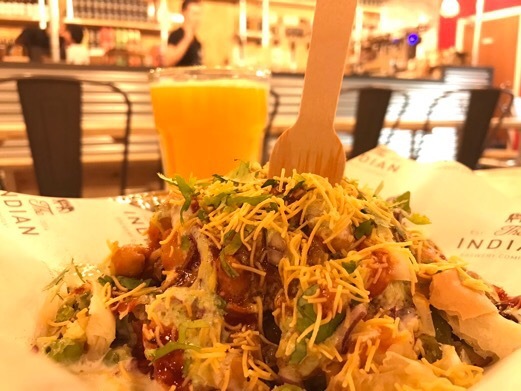 You can never have too much Street Food in my opinion so the news that another weekly Street Food event is hitting Birmingham is exciting news for those seeking a relaxed and informal Friday evening. 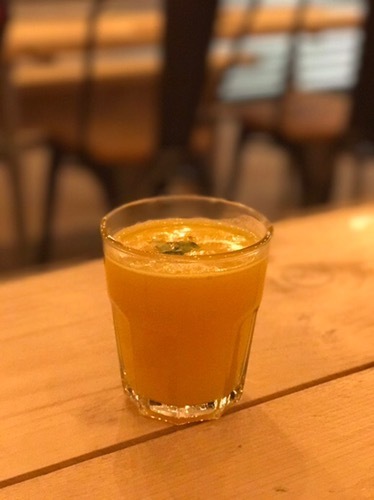 Launching on 27th January the opening launch will showcase a weekly Indoor Street Food hub across Winter and Spring made up a range of international flavours paired with contemporary traders. Taste and Liquor wanted to provide an offering that is as unique as the city itself. It won’t just be meat heavy too with Vegetarian and Vegan options. Boxfood will be doing Vegan Caribbean food and it’s their 1st Birmingham showcase. 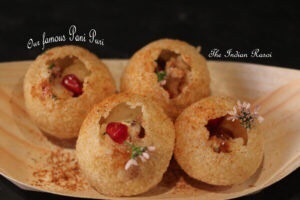 Plus the Indian Butcher will have Paneer dishes and Pizza Di Bruno will have veggie pizzas.. The Turk will also have a vegetarian option. 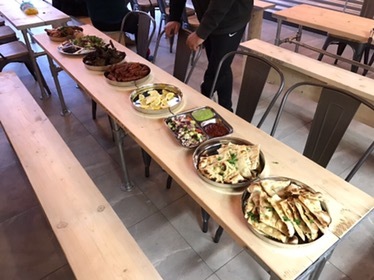 The Friday event also shows support to new and emerging talent by giving new traders the chance to experiment and play with ideas without the pressure of having to take on a restaurant. Taste and Liquor aims to support new chefs throughout the year. Taste and Liquor’s Friday event will be championing live music, emerging bands and DJ’s With an exclusive platform showcasing the regions hottest acts. Speakerbox, a showcase produced by Sharinta K Athwal will present the best of the regions raw talent and hottest emerging stars of 2017. 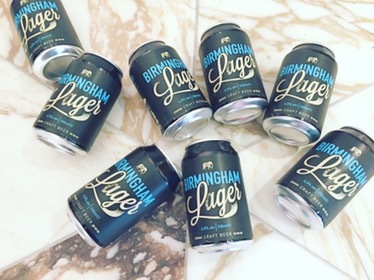 Every Friday welcomes The Digbeth After Work Club between 5-7pm where local residents are invited to start the weekend early, with specials two-for-one offers on all drinks. Head towards the main bar, featuring bespoke cocktails, craft beer, wines and a vast range of bespoke tonics and spirits. Monthly themed events will also be held every last Saturday of the month. 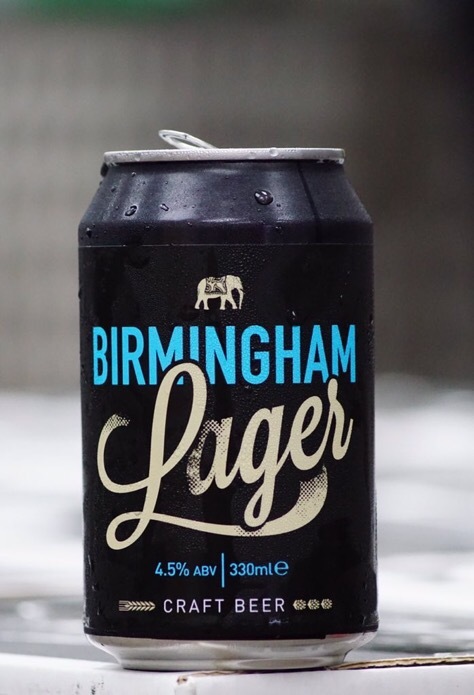 Highlights include Gin and Meat Festival (February), Besr of British Street Food (March), Brum’s Big Fat Pizza festival, (April), Mr Hyde’s national Burger day festival (August). 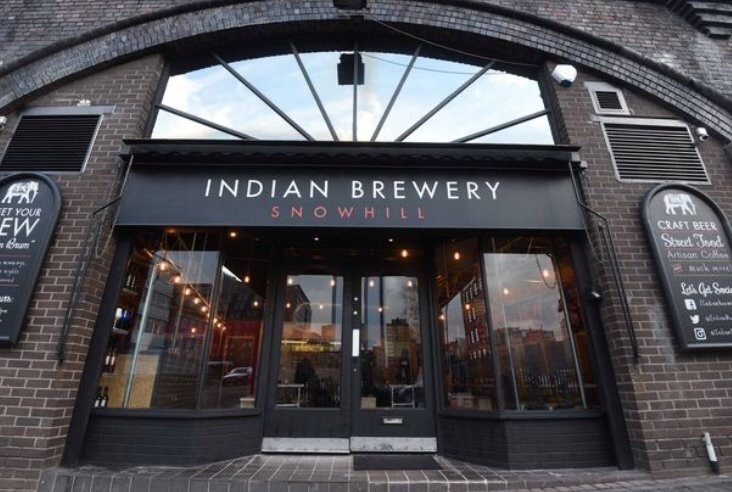 Cultural celebrations and festivals will also include Holi Rave colour festival in April, Taste and Liquor 1st birthday party weekender in May, Asian indepen-dance a celebration of 70 years of Indian independence in August and Digbeth Mela in October. 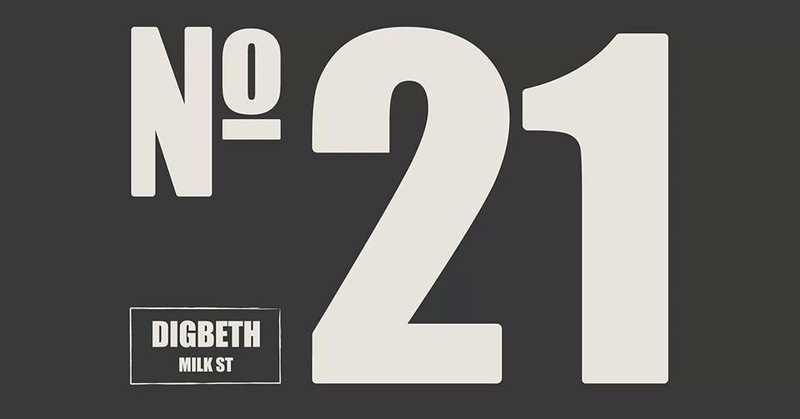 Taste and Liquor at No21 will launch on Friday 27 January and will be hosted every week. Friday entry will be free from 5pm. Last food orders at 10.30. For more information log into http://www.tasteandliquor.com. 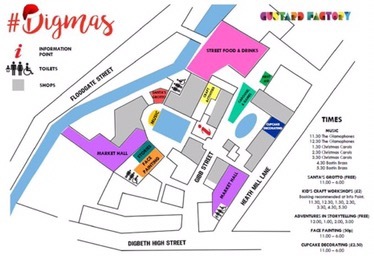 #Digmas: Christmas Fair with Vegan stores and Veggie/Vegan food. Saturday 26th November. 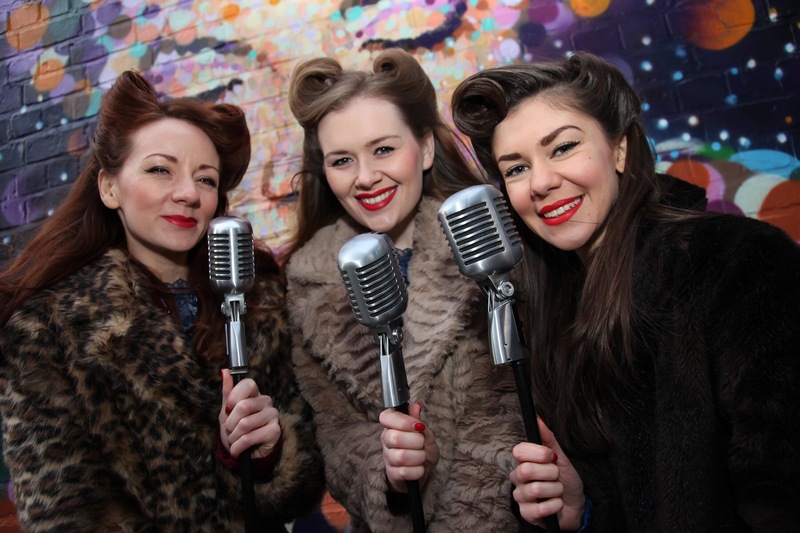 Brum’s favourite independent Christmas fair and family day out returns to the Custard Factory! Kick off the festive season in style at #Digmas, Birmingham’s favourite independent Christmas fair and family day out. 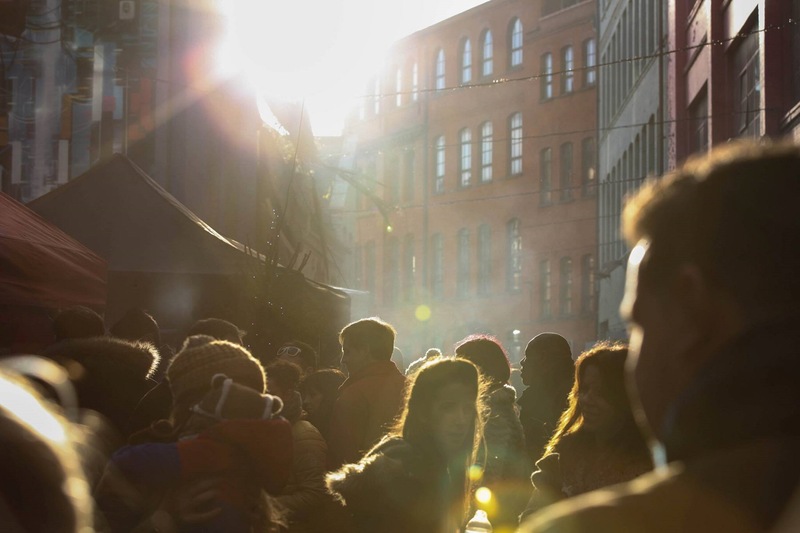 The fun-filled event will return to the Custard Factory at the heart of Birmingham’s Creative Quarter on Saturday 26 November from 11am to 6pm. Entry is free. There’ll be something for everyone in the family; from street food, gin, craft beer and market stalls for the adults to Santa’s grotto, face painting and craft activities for the kids. 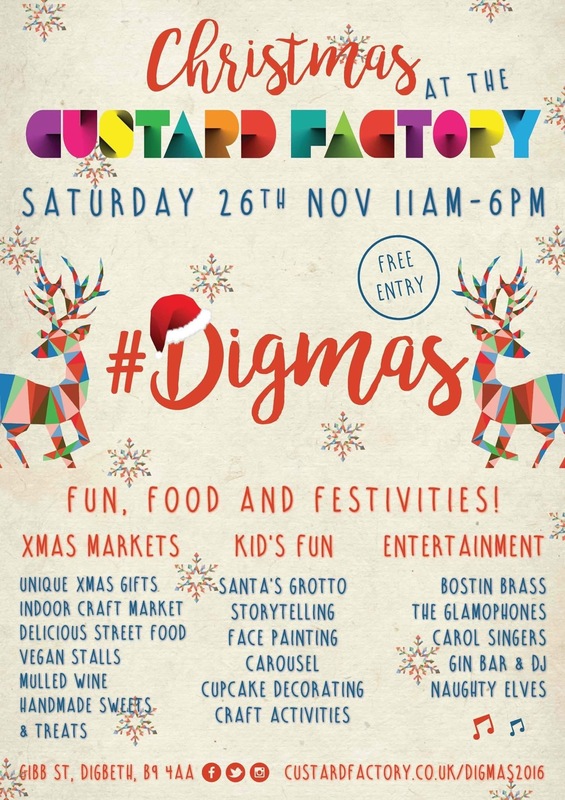 Tara Newman, Head of Events at the Custard Factory, said “#Digmas is a Digbeth tradition for foodies, friends and families looking for an alternative to the usual pre-Christmas crush on the high street. It’s the perfect opportunity to pick up some unique stocking fillers, enjoy a day out and get into the festive spirit”. 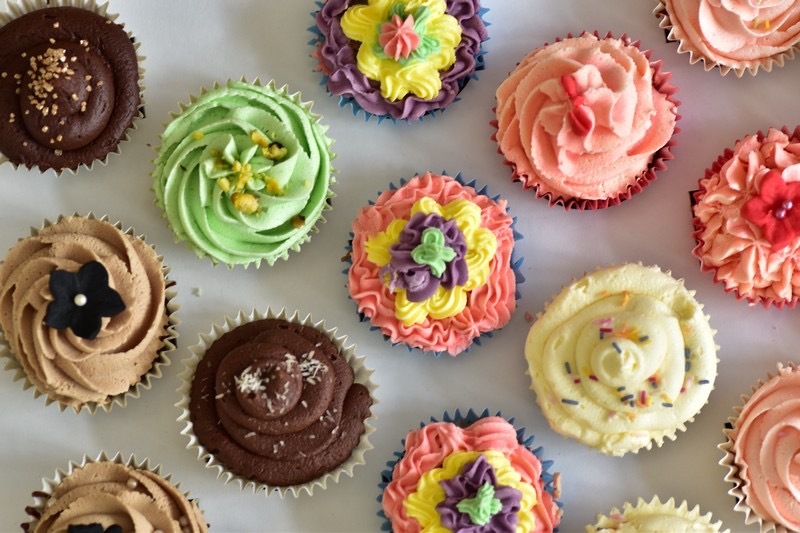 At the heart of the Custard Factory there’ll be a lively indoor market with high quality art and crafts from the Paperdolls Handmade Markets plus locally-made cakes, chocolates and other goodies. There’ll be Vegan stalls filled with gifts, and fashionistas can peruse the rails of clothing from a selection of leading brands. Shoppers will enjoy browsing the Custard Factory’s resident shops who will all be open during the day’s festivities. They can enjoy a cup of mulled wine or hot chocolate whilst revelling in live music by the lakeside from Bostin Brass, The Glamophones and a cheerful carol singing quartet. 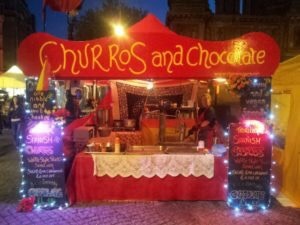 Foodies will tantalise their taste buds with some of the best street food in the city and dishes include macaroni cheese, warming soups, spicy curries and irresistible churros and chocolate. Plus cakes by Mrs Mills. 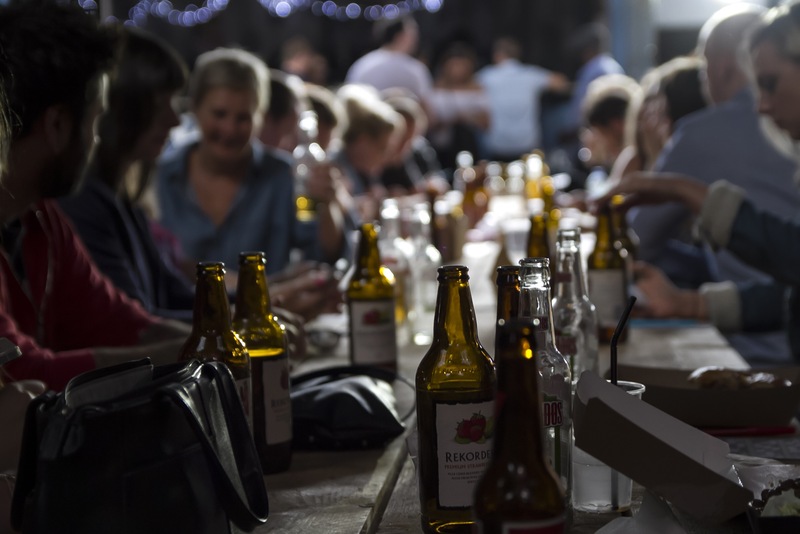 The covered food court will have a great atmosphere with a DJ playing festive favourites, perfect for meeting up with friends to enjoy a glass of gin or craft beer from the pop-up bars. The kids will have a great time too with a visit to Santa’s grotto and a packed programme of festive storytelling performances, craft activities, cupcake decorating and face painting. #Digmas is free to enter and all ages are welcome to enjoy the fun, food and festivities. Advanced booking for some activities is recommended. 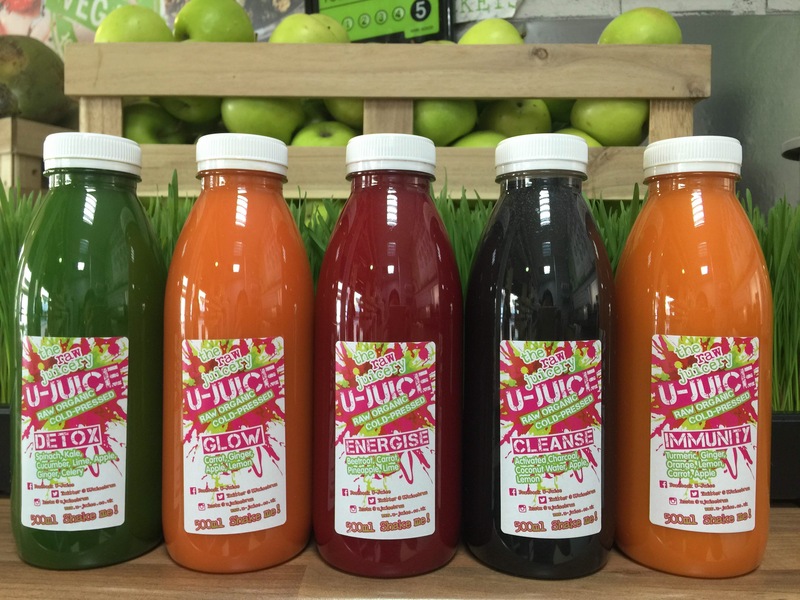 Alongside all of the fantastic entertainment, food and activities already revealed, they have been working with local organic and Vegan friendly drinks company U-Juice to curate a friendly selection of vegan stalls at #DIGMAS! 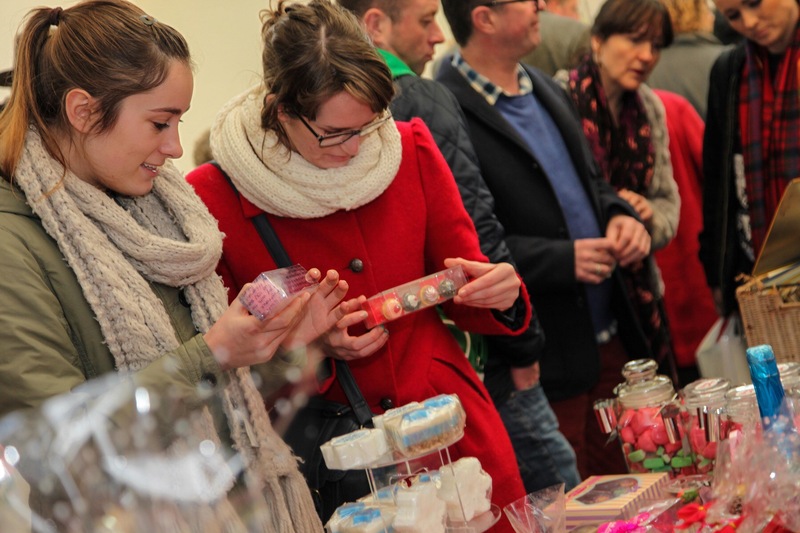 Food & drink, clothing, jewellery, beauty products and lots, lots more – all produced ethically and organically. Other Vegan and Veggie friendly traders also thete will be Aah Lovely, (handmade gifts including ceramics, bags and cards), Dr Ice ( Men’s grooming products), Viva la Vegan (organically made clothing and best fashion brand award winners), Hugletts Wood Farm Animal Sanctuary, (handmade gifts) Badger’s Dairy Free, (side dishes), Purely Vegan (Vegan Grocers) The May Bakery (Vegan cakes, cupcakes and cookies) Honest Skincare, and Custard Factory resident Clink craft beer have a Vegan range too. 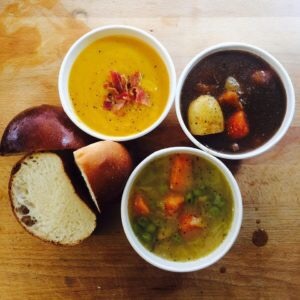 Street Food from Littlesixtythree ( soups and stews) locally produced served with fresh crusty bread and Quarter Horse Coffee and Hot chocolate. Yumlaut: traditional German Sausage with Vegan-friendly and deliciously named ‘Veggie Brat’. 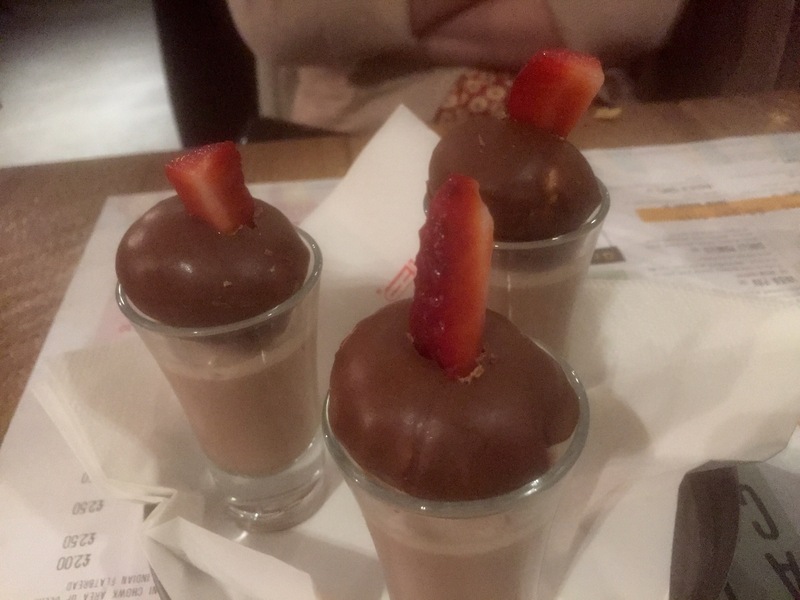 Churros Susanna: Churros and chocolate. Plus dairy free. Sugary happiness. 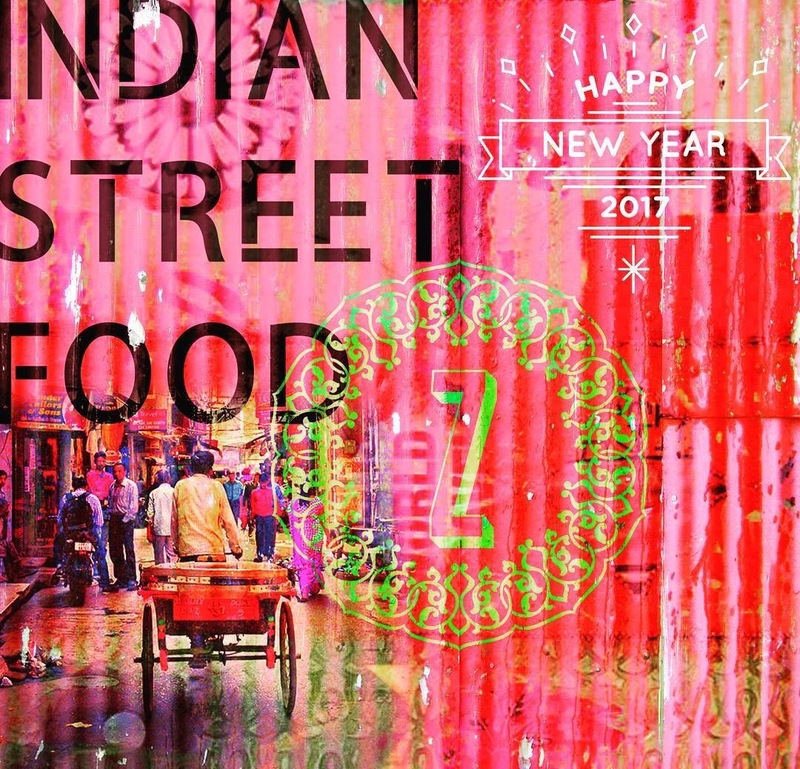 Veggie Foodie favourites The Indian Rasoi: Indian Street Food and curry to warm you up. Holy Moly Macaroni: Macaroni cheese who are launching on The Birmingham street food scene at #Digmas, plus offering a Vegan option that replaces cheese with butternut squash. 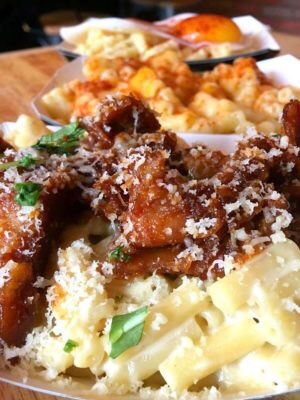 Comfort food with a difference. Plus drinks from Gin Box and Clink Craft Beer who will have vegan/veggie choices. Looks a lovely way to kick off the Christmas period, and celebrate Birmingham’s independent and creative scene. 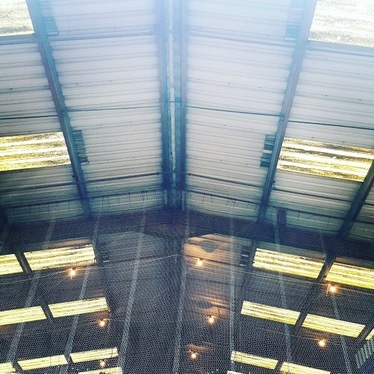 The Custard Factory and sister venue Fazeley Studios are based in Digbeth a short walk from Birmingham New Street and The Bullring shopping centre in the heart of Birmingham. The area has long been established as one of the countries leading creative and digital business destinations, with a thriving business community residing alongside Birmingham’s independent retailers. The Glamophones who will be singing at #Digmas. All images and photos courtesy of The Custard Factory.